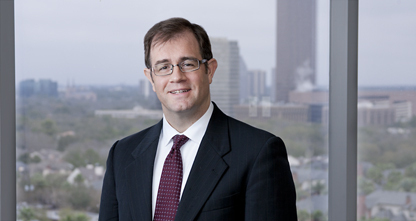 Ronald Jones handles patent drafting and prosecution for clients such as Baker Hughes, General Electric, IBM, Raytheon, Agar Corporation, and the Applied Physics Laboratory at Johns Hopkins University. He has more than 10 years' experience in intellectual property. He has a PhD in Physics and has previously taught several courses in optics and astronomy at the University of Houston. His main areas of practice include drilling and petroleum exploration, energy systems, and optics.